Specialists in the repair, tuning, servicing and restoration of both grand and upright pianos, since 1985. Mr. Hilary Martin has over 45 years' experience in the piano trade, having learnt the craft of piano restoration in the piano workshops at Harrods Ltd in the late 1960s, moving on to become workshop manager at Chappells. This was followed by a short spell at the Kemble piano factory in Milton Keynes. A move back to London meant a new job as restorer at the workshops of Jaques Samuel Pianos in the Edgware Road, and later was responsible for the maintenance of the hire fleet at the Bösendorfer piano company, including the undertaking of several full restorations on their behalf. 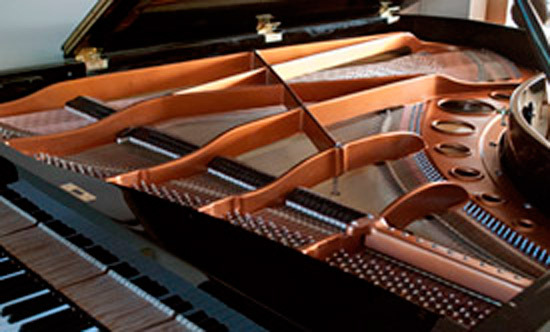 H. Martin Piano Services was established in 1985 and has provided a professional maintenance and restoration service to both the public and trade for nearly 30 years. 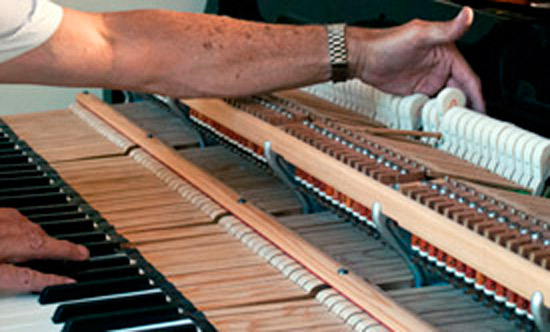 H. Martin Piano Services is a member of the Pianoforte Tuners' Association and member of the Institute of Musical Instrument Technology. All pianos go out of tune over time, but changes in temperature and humidity will speed up the process. 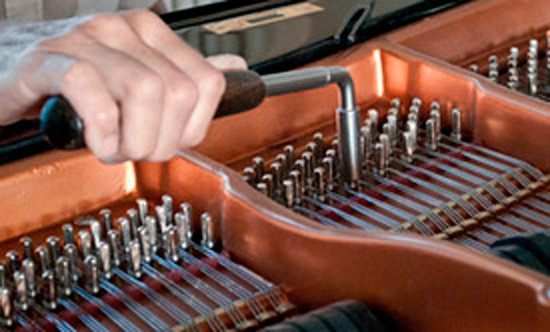 Regular tuning will ensure your piano will always sound its best. We recommend tuning at six monthly intervals and certainly no longer than a year. A ten mile radius of the London Borough of Bromley is covered. (Further distances by arrangement). Membership of the Pianoforte Tuner's Association ensures top quality service at reasonable rates. Please contact us for the latest price. Regular maintenance ensures trouble free operation of your piano. Cleaning of the inside of the instrument, plus regulation of the action, can be done in the customers home at reasonable cost. Please contact us for more details. Mr. Hilary Martin has maintained and/or restored pianos for the BBC, ITV, Buckingham Palace, Windsor Castle, many London theatres, hotels, concert halls and recording studios (including Abbey Road), and recently appeared on BBC2 television in an interview about restoration. Full overhauls are our speciality. We offer re-stringing, repairs to soundboards, fitting new wrestplanks (tuning planks) where necessary, key repairs and full action rebuilds, using the highest quality parts available. Hilary Martin gives an introduction to both the history and inner workings of the piano. This video was made in collaboration with The Curious Piano Teachers. Fitting a new wrestplank and re-stringing a Broadwood upright that was owned by Ralph Vaughan Williams. The piano is now on display at Leith Hill Place – RVW's childhood home. This project received nationwide media coverage. Our tuning services cover a 10 mile radius of the London Borough of Bromley, and can accommodate further distances by arrangement. If you'd like to book a tuning or enquire further about our other services, please get in touch with us.